At least 12 people were detained near Turkey’s Greek border in the western province of Edirne, according to state-run Anadolu news agency. 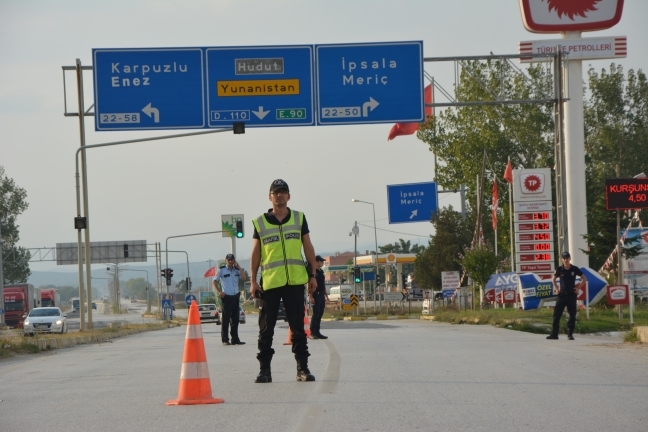 Anadolu said Friday that gendarmerie stopped 12 people in a prohibited military zone in Yeni Karpuzlu neighborhood in Edirne. The detainees were identified as A.S., a former public servant who was dismissed from the Information and Communication Technologies Authority (BTK); A.S., a former public servant at the Ministry of Family and Social Policies; H.İ.İ, a former chemistry teacher dismissed from his/her job at a high school; E.I., an agricultural engineer dismissed from the District Directorate of Agriculture in Ankara’s Golbasi district; and S.K., a high school personnel. Anadolu said the five people are suspected of having links to the Gulen movement, which the government accuses of masterminding the July 15, 2016 coup attempt. Four children and another three adults, all of them Pakistani nationals, were also among the people detained in the same area. Anadolu said the trio was helping the group during their illegal departure to Greece. While 8 were taken into police custody, four children were handed over to their relatives.